WASHINGTON — Efforts to get a $15 an hour minimum wage in Maryland by 2024 went into high gear Friday as members of a House panel heard from dozens of people on both sides of the issue. Three Maryland county executives — all Democrats — kicked off the hearing before the House Economic Matters Committee Friday morning. 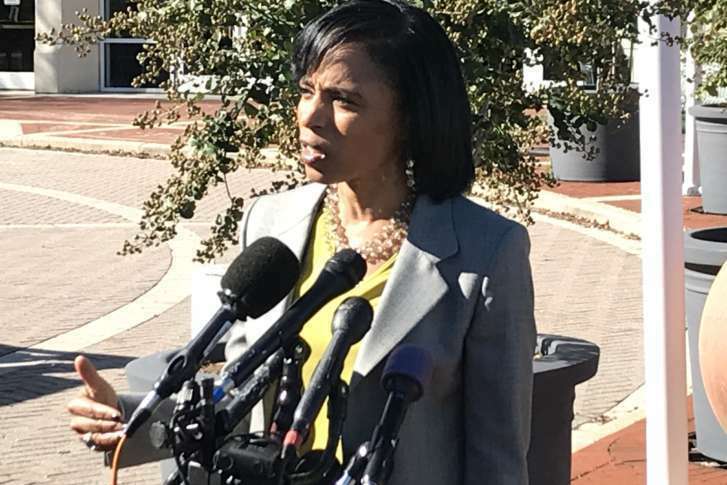 Prince George’s County Executive Angela Alsobrooks favors raising the hourly wage in Maryland from its current level of $10.10. Pittman explained that when people’s paychecks don’t cover their basic necessities, they then look to government assistance to close the gap. In Montgomery County, the move to get to $15 an hour is already being phased in over a period of years. Currently, the wage is between $12 and $12.25 an hour. Back in 2013, the neighboring jurisdictions of Montgomery and Prince George’s counties agreed to enact legislation to raise the minimum wage to $11.50 an hour by 2017. Montgomery County Executive Marc Elrich testified in favor of House Bill 166 along with Alsobrooks and Pittman. Elrich said when the county bill was being debated, there was concern that businesses would leave the county when the pay rate went up. State Del. Steve Arentz, a former business owner who sits on the committee, questioned the county executives and said there’s a difference between their counties and his Eastern Shore district. Elrich argued the boost in the minimum wage could actually generate benefits that would accrue to small businesses. “When folks get more money, even in our communities, that money gets spent locally. I think every dollar that gets paid there is a dollar that’s going to be spent there,” Elrich told committee members. Del. Seth Howard, a Republican from Anne Arundel County, said that bills to raise the wage had been brought before lawmakers repeatedly over the past few years. Del. Chris Adams, a Republican whose district includes Eastern Shore counties, worried that businesses would be put in a position where they’d have to lay off workers. “I’ve had to look at people who I like very much and say, ‘I’m sorry,'” Adams said. He struggled to find the right word to describe having to tell someone they were out of a job. “That is a disgusting feeling, and there are thousands of businesses that are getting ready to have to do that,” he said. Barron-Menza said small businesses are already losing out to big-box stores who pay above the state minimum wage. Target and Costco pay close to $15 an hour, “Amazon, including Whole Foods, went to $15 in November,” she said. During a news conference Thursday, Maryland Gov. Larry Hogan said he’d spoken to members of the Maryland General Assembly’s Black Caucus. The governor was also worried about endangering the state’s competitiveness when it came to attracting businesses. He noted that Virginia’s minimum wage is $7.25. He said it’s possible businesses would choose Virginia over Maryland based on the wage disparity. Once House Bill 166 is voted on by the committee, it would be sent back to the House for a second reader.